When it comes to the health and care of your mouth, it’s easy to overlook the condition and presence of your wisdom teeth. For many people, these are often an afterthought and are only considered when a problem does occur. Whether it comes in the form of pain and swelling in your mouth, headaches, or any other symptoms, once they are there, you will definitely want the feelings gone. There is no general right answer as to when they should come out, as everyone is different, but the sooner you remove them, the faster you will heal and the less severe your problem may be. While not everyone has the same issues with wisdom teeth, there are a few common factors when it comes to problems that occur. For many people, the presence of pain, cysts, infections, or even headaches may occur. 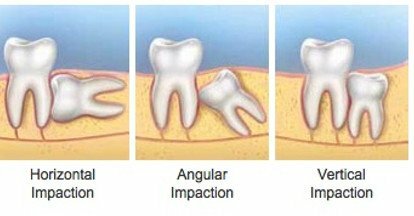 Oftentimes, these individuals may be suffering from an impacted tooth that has no room due to the closeness of adjacent teeth, and the size of the individual’s jaw will not support the addition of the tooth or the tooth itself is not coming in at the correct angle. These issues may vary person to person and are all uncomfortable to bear. If you find yourself experiencing some of the conditions mentioned above and are concerned that you may need a wisdom tooth extraction, we can help you make the right choice for your particular situation. With the use of x-rays, cone beam imaging, and other technologies, we can know your exact situation before surgical procedures are even started. This means less concern and time spent getting the procedure done for you. At the offices of Dr. Vincent Vella D.D.S, we are here to help you take the stress out of your next office visit.